Hailing from Fremantle in Western Australia, Datura4 is the brainchild of legendary Australian garage rockers The Stems and Power Pop favourites DM3 frontman Dom Mariani and former You Am I and one time New Christs’ guitarist Greg Hitchcock. In 2011 they joined forces combining a shared passion for full-tilt boogie, psychedelia and progressive blues. Along with drummer Warren Hall who previously played with The Drones and bass player Stu Loasby, Datura4 have been steadily building a reputation in their hometown with their live performances. Their ball busting debut album ‘Demon Blues’ on US label Alive and Natural records (Black Keys) was released in July 2015. 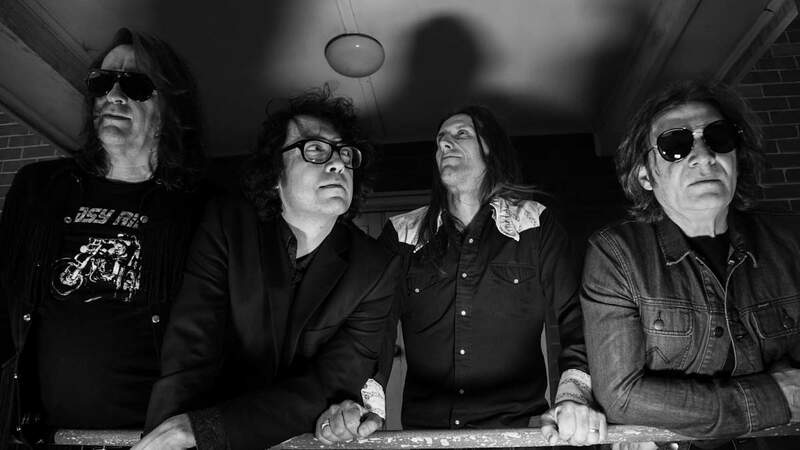 With a healthy nod to Early ’70’s Australian Psych/Blues/Boogie from the likes of Buffalo, Coloured Balls, The Aztecs and latter era Masters Apprentices, ‘Demon Blues’ represents Mariani & Hitchcock’s love of hard hitting bell-bottom blues. ‘Demon Blues’ is heartfelt psychedelicised blues-rock for the denim-clad delinquent in us all.